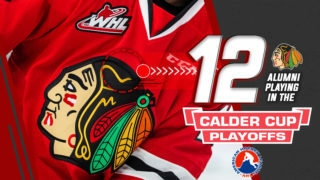 The Winterhawks wrap up their weekend slate against the Lethbridge Hurricanes. Portland owns a ten game point streak against their opponent tonight (6-0-2-2 in last ten years). PREVIOUS GAME – Winterhawks 3 vs. Thunderbirds 2 – Overtime: In a historic night of the I-5 rivalry, the Winterhawks held a lead for the majority of the night and eventually defeated the Thunderbirds 3-2 in overtime at Veterans Memorial Coliseum. A little over two minutes into the overtime period, rookie Seth Jarvis scored the game-winning goal on a penalty shot. Portland controlled the offensive zone for the majority of the night and scored a late goal in both the first and second periods to give them a 2-0 lead heading into the final 20 minutes. Lane Gilliss scored his 10th goal of the season, becoming the ninth Winterhawk to reach double-digit goals this year. 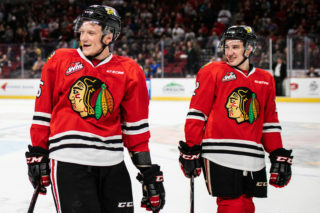 The Hawks’ alternate captain finished as the first star of the night for his two-point performance, the tenth such game of his WHL career. After shutting out the Thunderbirds for 59:40, they scored with an extra attacker to cut into the Hawks lead. With two seconds to play, Seattle scored its second straight extra attacker goal to tie the game at 2-2 and force overtime. Jarvis got his time in the spotlight, scoring his second game-winning goal of the season. Over 6,600 plus fans rocked the crowd during the Boeing Airplane Toss and while they were celebrating the win, many fans secured prizes for their precise airplane flying after the win. Robbie Fromm-Delorme scored his third goal of the season and first since December 7, 2018. Joel Hofer withheld the late push by Seattle and reeled in 21 saves for his ninth win of the season. Matthew Wedman extended his point streak to four games with the game-tying goal at the 19:58 mark of the third period. Seattle’s two goals were separated by 18 seconds. 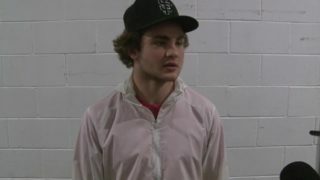 The penalty shot goal was a redemption goal for Seth Jarvis, who missed on his lone WHL penalty shot attempt earlier this season in Seattle at the ShoWare Center. The Lethbridge Hurricanes have gone on a slide in January, losing three of their last five games and suffering their worst loss of the season last night in Everett. The Silvertips throttled the Hurricanes 9-1 led by a Zack Andrusiak four point night. Rookie Justin Hall scored the lone Hurricanes goal on Saturday night. The Hurricanes last win against the Hawks came on November 3, 2007. They enter the match-up with one of the best offenses in the Eastern Conference, led by the No.3 ranked skater on the NHL Central Scouting Dylan Cozens and three other NHL draft picks. 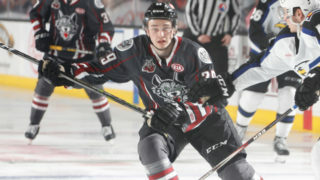 In November, Lethbridge made the biggest splash in the market by acquiring Colorado Avalanche draft pick Nick Henry and Vegas Golden Knights former second round draft pick Jake Leschyshyn. 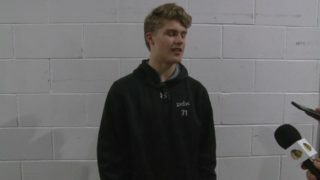 The deal cost Lethbridge two players and seven draft picks, but they were looking to bolster their position to make a playoff run. Captain Jordy Bellerive has a potent top six surrounding him to make another championship push in potentially his last season in the WHL. Even with seven players with 45+ points on roster, the Hurricanes have had struggles on the defensive side. They allow nearly four goals per game to the opposition, which is fourth worst in the WHL. Goaltender Liam Hughes is no longer with the team and they are leaning on two younger goalies for now to get them through the second half of the season. The Winterhawks will look to take advantage in the offensive end tonight with their balanced attack. Despite the Hurricanes owning so much talent, they have scored two or fewer goals in four of their last five games. After tonight, the Hurricanes return to Alberta for six straight home games. 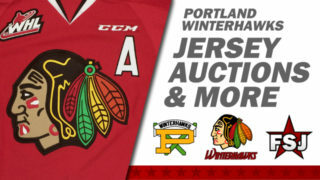 Be sure to visit winterhawks.com/tickets for full details on pricing and availability for tonight’s game.